Stardate 89816.79 Ships log. While exploring the Delta Volanis cluster, the crew of the U.S.S. Zemark and I discovered a group of grave sites on planet 0012-J. After a closer examination of the text on the ruins, the universal translator determined that the ruins belonged to the D’Arsay culture. Specifically it corresponded to late D’Arsay, a period about which the federation knows little. The planet is now a lush paradise home to many different flora and fauna. Our mission was pretty routine, survey the grave sites and report our findings to the federation science council. The council informed me that the D’Arsay appeared to be poikilothermic. Their temperature varied along with the temperature of their surroundings. This apparently placed the sun at a center point in their culture. Having completed our mission we left the planet and resumed our patrol. Stardate 89816.33, Starfleet contacted me about a situation in the Kei system. It appears that the Syndicate has taken to raiding the local miners. We were assigned the mission of securing the system. After spending some time hunting the Orions, we engaged and defeated 3 squadrons of Corvets and a single group of interceptors before leaving to resume our patrol. Starbase 24 why is it always Klingons? Stardate 89816.99 Admiral Grigori Yanishev sent us new orders. Apparently the Klingons are stirring up trouble at Starbase 24. Every federation captain in the sector has been ordered to make best speed and engage the Klingons. Arriving at the Starbase it became clear immediately that the Klingon’s were trying to take over. Never have I seen so many bird of prey’s at the same time. Luckily, we were joined by the Pegasus, Versailes, Nelson, and Avenger. 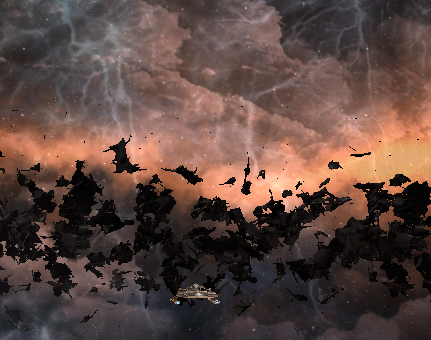 After taking out the initial wave of bird of prey’s the Klingon’s decloaked a fleet of battleships. To say that we were surprised is an understatement. Still, we are Starfleet captains and we need to teach the Klingon’s a lesson. After loosing 20 battleships they decided to withdraw. I admire their spirit although I have to question their intelligence. Attack a star base in federation space? It must have been an honor thing. After an all too short visit to Earth space dock, I was asked by Lt. Commander E’genn to make a delivery to Memory Alpha of a biological sample. As Starfleet command hasn’t given us any specific orders, I decided to assist the Lt. Commander. 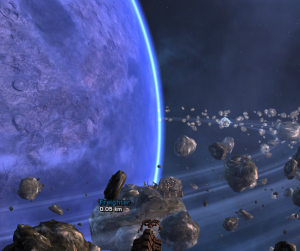 After delivering the sample to Commander Jenna Romaine, she asked me to speak to T’Pren about obtaining some supplies. T’Pren explained how to match modulated waveforms, then allowed me to retrieve the samples. I learned to assemble the upgraded power cell that T’Pren wanted and was rewarded with a schematic for a personal shield, and a new grade. Lieutenant (4) is still a very long way from vice admiral but it is a step along the way. Stardate 89818.94 As we suspected the Borg have started an invasion of Defera. They seem intent upon attacking the city in force. After being briefed by Kranek, I set out to help the residents remodulate their turrets against the Borg adaptions. I actually accomplished the task in much less time than I would have thought and proceeded to search the city for Borg cortical nodes. 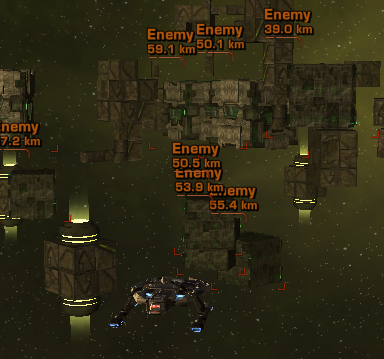 I ended up killing several hundred Borg before finding enough nodes for Kranek. I can not express the happiness I experience when I am slaughtering drones. Each time one dies I feel as though I have avenged one of my people. The collective should be trembling at my rage, some day they will! 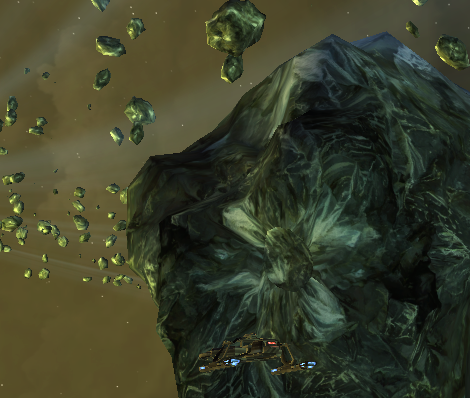 Stardate 89818.98 During a routine patrol of Beytan, Chief Vanderberg notified me of a work stoppage at the mines. He explained that if Starfleet was to listen to the grievances of the miners that it would go a long way to fixing the problem. I reluctantly agreed, I almost wish I hadn’t. The miners grievances were nothing short of whining. Don’t these people realize that the Borg are still out here? Seriously, who cares that your holodeck isn’t working? Anyways, rather than explain my personal feeling about the situation I reported my findings to the Admiral. Perhaps he can deal with these miners. Stardate 89819.01 Captain Akira Sulu contacted me on subspace and asked that I look into a strange occurrence on Pellme II. Specifically, seismic activity planet wide was showing such a remarkable increase that the colony was preparing to evacuate. As this would have been a very large drain on federation resources which could have been better used for the war effort, I decided the best idea was to beam down and check the seismic sensors. Science officer Enlay discovered that the sensors had been tampered with. After repairing the sensors and communicating our finds to the civilian authorities, they arrested a female Klingon agent. At least we don’t have to worry about evacuating the settlement now. Stardate 89819.04 Following a hunch I decided to take the Zemark to patrol the Bhea system. Starfleet seemed happy that I did. I surprised a group of Syndicate ships setting up dry docks. I almost didn’t believe my science officer when she informed me that the Orion’s had managed to setup 7 dry dock facilities without our knowledge. As this was clearly not in the federations best interest The crew and I dispatched the Syndicate ships guarding the dry docks then destroyed the docks. After informing captain Sulu, he congratulated my crew on a job well done. Stardate 89819.06 We received a distress signal from a captain Cinnay a freighter pilot in the Pico system. His ship had lost it’s ability to navigate, and he had become lost in the asteroid field. After a quick consultation with my first officer I decided that it would not take very long to assist the captain. After escorting the captain to the mining facility, I was contacted by captain Sulu. Captain Sulu informed me that I was to be rewarded with a new grade, Lieutenant (5) and a new bridge officer candidate. As the newest bridge officer on the crew I have placed her with the away team until her training catches up with her enthusiasm. Some of my fellow tactical officers tend to be a bit over eager in their duties. Stardate 89819.11 Starfleet command ordered the Zemark to the Reytan system to repair a group of communication relays that went offline approximately 47 hours ago. There was some suspicion that the Orion Syndicate had been using the relays for their own purposes. Sure enough, when we arrived the Syndicate was everywhere in system and using the relays no doubt to smuggle slaves out of the federation. After some “aggressive” negotiating with phasers and torpedoes they left the system. Seems the Syndicate doesn’t like losing ships. Stardate 89819.16 Sometimes the universe is just beautiful. But leave it to the Klingons to interrupt peaceful mission. 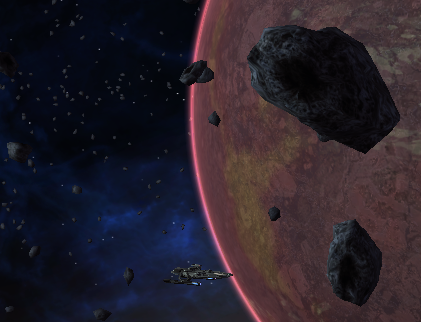 Starfleet has placed several data gathering probes in this asteroid belt to obtain information regarding the nebula seen in the background. Apparently the Klingons wanted to make a new home for themselves in Kinjer. I was happy to remind them that even when doing peaceful exploration the federation is always ready to deal with the unexpected. 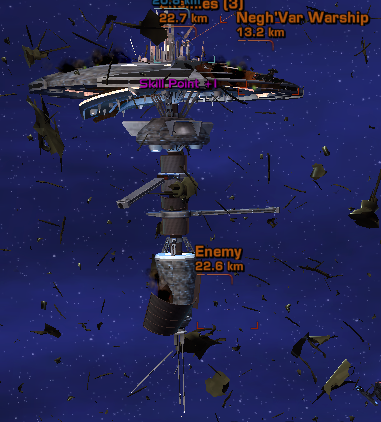 After dispatching their defense force, I destroyed their station. During the battle we found something in the wreckage on one of the bird of prey. A federation phaser turret. After speaking to the engineering staff I had it installed in the rear weapons area. It offers a full 360 degree rotation and should allow me to keep the photon torpedo launchers pointed directly at the enemy hulls in the future. This is more consistent with a Klingon philosophy of fighting but I am starting to believe they may be on to something. Stardate 89819.20 Another beautiful system another group of Klingons. Apparently they appreciate beauty even if they can’t stand the finer things in life. 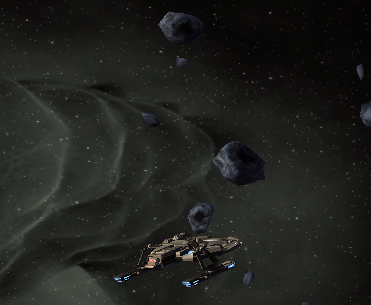 The federation has a satellite network in the asteroid field. The Klingons have been in the area cloaked trying to find a way to use the satellites to their advantage. They didn’t expect that the federation had detected them. When I arrived in system I found them after a small search and destroyed the small group of ships. It was a pity to leave the debris in orbit of the planet. After contacting captain Sulu he informed me that I was to receive another grade promotion to Lieutenant (6). Stardate 89819.23 I received a tactical update from ensign Ilattwi the new Bolian tactical officer assigned to the Zemark. I had given her the task of calculating the improvement in combat efficiency with the new phaser turret. This one is sharp, I am going to have to keep an eye on her career. I know that I am hard on my officers and crew at times but she seems to understand exactly what I am looking for. At least at the moment. She says that our combat efficiency has improved around 15% with the new turret and she suggests that there is still room for improvement with either a dual phaser bank in the forward section or a set of phaser cannons. After reminding her that cannons cannot be fit to a light cruiser, she pointedly reminded me that my assignment to this cruiser is temporary and soon I will have the ability to choose a new ship. Definitely gotta watch this one. Stardate 89818.26 A group of scientists in the Tazi system contacted me on subspace today. According to the lead scientist Klingons were hanging around making their experiments difficult to perform. I was ordered to investigate by captain Sulu. When we arrived in system my science officer informed me that several ships were cloaked and moving around the asteroid field. 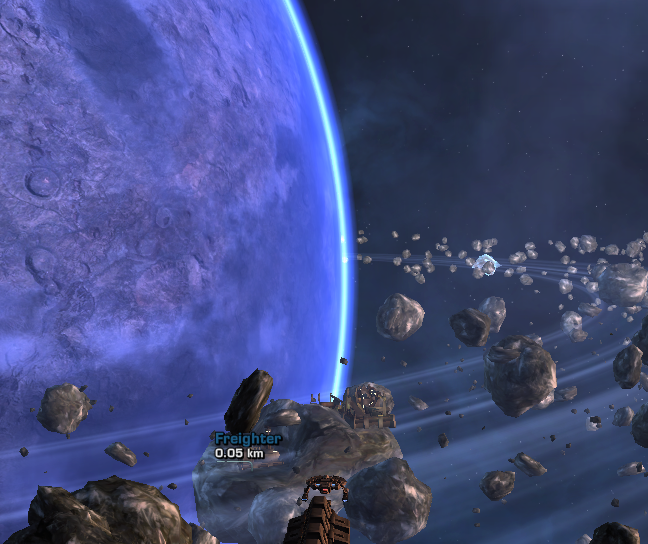 After spending some time hunting down the Klingons, we destroyed what was left of their patrol. My tactical officer says that the combat efficiency is up another 2%. I am glad that we switched, as many times as the Zemark has gone into combat we needed it. Stardate 89819.34 Starfleet command ordered us to investigate the disappearance of 3 civilian vessels in the Donia system. Command suspected that the Gorn had been raiding the asteroid belt there. Having never engaged the Gorn in combat, I was a bit apprehensive about the assignment. To be honest I shouldn’t have worried. The Gorn were mostly in frigates, their attacks were extremely telegraphed and easily defeated. They will think twice about attacking federation citizens in the future. Captain Sulu expressed his thanks and informed me that I had reached another grade, Lieutenant (7). I received a subspace message ordering me back to Starfleet academy of all places. There is a lieutenant Ferra that I have to speak to about something. After speaking to my chief engineer she expressed that now would be a good time to test the transwarp drive. I agreed and we used it to travel to the Sol system. The trip was without incident, however I could wish that subspace didn’t shake so much when it was engaged. It looked as though all of space for light years in any direction was vibrating with the energy released from the drive. Imagine my surprise when I introduced myself to the lieutenant only to discover he was Caiten. He explained that I had not been utilizing my crew to the best of my abilities. After explaining that Starfleet Command has been watching my career with interest, he decided to help me learn more about what it takes to command a star ship. Starfleet wants officers who are flexible enough to train, expand, and utilize the duty officers on board their ship. Admittedly, I have been deficient in this regard and have decided to utilize my crew as much as possible. I plan on facing the Borg head on and to do this a well trained crew will be required. As I have been given permission to retain my crew no matter what ship I command, I think it is time to start finding officers that work well with my style of command. While at the academy, I spoke with Commander Viala. She explained that I was woefully deficient in my knowledge of history and has offered to help. She will allow me to obtain a data chip anytime I happen to be at the academy in exchange for taking a test regarding it’s contents. While I cannot say that studying is my favorite past time, she offered a reward of Dilithium for answering the questions. While I can always use the Dilithium, I spoke to a vice admiral Tepid.Rain who said that I could find the answers to the path to 2048 at an old 20th century blog. I thanked the admiral and added the blog to my personal database. Stardate 89819.52 For the first step of our exploration of the Arucanis Arm, we detected a Stekkelan surveillance facility from orbit. As you are probably aware, the Strekkelan do not have a prime directive and therefore interfere in pre-warp cultures regularly. After shutting down their facility they left the system without further argument. After entering the system, we were hailed by a Dalankrit freighter that was stranded. The Gorn had attacked the freighter and left it crippled. While we investigated the Gorn attacked. Trying to overwhelm our defenses they attacked in 3 main waves. While at several points in the fight the Zamark ended up in armor, in the long run we prevailed. Something strange though, why are the Gorn out this far? Are they planning something bigger? Stardate Admiring the beautiful red atmosphere on the planet in this system, my science officer informed me that there were several anomalous readings in the system. After finding quite a bit of materials that the science teams were very happy about, I was contacted by Lieutenant Grall. He thanked the crew and myself for a job well done exploring the Arucanis Arm and transferred 1440 Dilithium ore for the trouble. I have worked out a deal with the Lieutenant, I will keep doing the exploration missions for him and he will keep supplying us with Dilithium. Seems like a fair trade for both Starfleet and my crew. Stardate 89824.53 The federation has made it clear that all deposits of Decalithium are considered to be strategically important. Our initial scans of the Koolhass system showed that there might be enough Decalithium to setup a mining facility in the system. My orders were to scan the asteroid field and hunt for large deposits. Of course the Klingons had other ideas. The see the Decalithium as a weapon and in typical Klingon fashion attacked us when we entered the system. Several bird of prey later, they changed their mind and left the system. While leaving the system a few of my duty officers returned from a mission and explained that I had been given another grade Lieutenant (8). Apparently, command was impressed with their performance. Stardate 89824.61 The Federation archeology council found some relics that may date back to the original race which created all humanoid life in the galaxy. They also have discovered that the Nausicaan’s are attempting to seize the relics for their own use. Arriving in the system we encountered heavy resistance no less than 7 battle groups of Nausicaan ships. After dispatching the ships, we discovered that we were too late to salvage anything from the sites. Apparently, the Nausicaan’s fear the idea that all races came from a common ancestry so much they decided to destroy the samples. Even though we were unable to obtain the relics for Starfleet, they have give me a new grade Lieutenant (9) and sent a new bridge officer for my consideration. Stardate 89824.67 A group of Klingon raiders attacked the trading facility known as theta 556. This group of Klingons was interested in taking a shipment bound for the Amlevian’s. The facility administrator requested our help. After beaming aboard the station, my bridge officers and I encountered several groups of Klingons and a Dahar master. This is the first time I have encountered a Klingon warrior that strong, I must say I was quite impressed. After defeating this warrior, the station administrator informed me that he would be informing the Amlevian government that the federation had saved their supplies. Perhaps, we have earned a bit of good will today. Stardate 89824.68 While exploring Delta Volanis, we received a distress call from the inhabitants of Delta Mensae X-Q VB. They were experiencing a shortage of medical supplies and asked if we could assist them. After replicating the needed supplies we gave them to the civilian authority to be distributed to their population. The inhabitants also expressed interest in opening diplomatic relations with the federation. After contacting lieutenant Grall, he transferred the 1440 Dilithium for our help with the exploration. I was contacted on subspace by commander Selyn. Apparently, Starfleet has decided that our training scenarios should be more diverse. Therefore they are encouraging all the captains in Starfleet to generate combat scenarios and place them in the master holodeck files. As an incentive to try these programs, and expand our horizons the are offering our choice of an item appropriate to our rank, or a container or Dilithium ore. 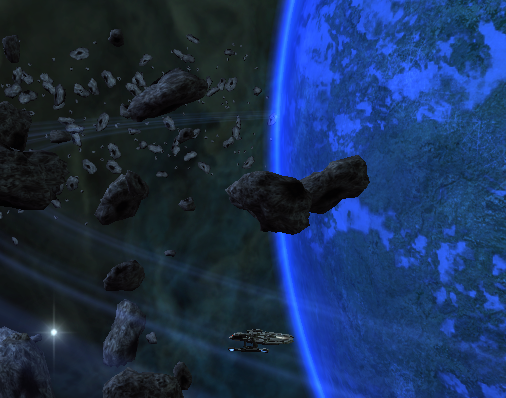 Being as I expect to be promoted soon I chose the ore. You can never have enough Dilithium. Stardate 89824.86 The Borg, and the Klingons. After a quick breifing with commander Makza, the Zemark was ordered into the fight. The mission was to destroy the Borg’s ability to repair ships in the neutral zone, as well as keep the Klingons from obtaining Borg technology. As part of a smaller fleet we engaged the Borg. After scanning several pieces of Borg equipment, the call was made to destroy the repair hulks. Hopefully, the destruction of those hulks will deal a crippling blow to the Borg, however I have my doubts. The entire situation seemed designed to distract us. I could be wrong, but the Borg seem to be playing a larger game here. I would inform Starfleet of my feelings in this matter, however I do not believe it would be well received. So for now I must bide my time and hope that the Borg will give me enough time to gain the rank required to influence command’s decisions. Stardate 89824.95 I was just informed by admiral Quinn that I have completed all the requirements for promotion. Effective immediately I have been promoted to lieutenant commander. Along with the rank, I have been awarded a new ship. I am headed to Earth space dock to decided what type of ship to transfer my command to. I have discovered that I play a little more often than is normal for most players. This has the effect of making the challenge well not really a challenge. While I am going to keep the challenge as it is for now, I am going to also include the /played time for posterity. As this time can be used to measure your own progress against mine, I believe it is a better indicator of actual progress. I have also discovered the duty officer system could conceivably be able to level a character all by itself (after reaching level 7 for a federation character). This leads to another challenge which I will probably start after this one. There is also the problem of regular status reports. Personally, I like the idea of a set of log entries more than a post like this one. Since the contest started I have been cataloging each of the things I do on this character as I do them. It allowed me to add in the screen shots, etc. The only problem with this is that the blog looks like it is sitting there doing nothing. I think I am going to do shorter posts of my activity for each particular day. This will allow the blog to update more frequently. And give me the ability to tailor the posts a bit better than this. The current /played: [System] Luce Liberia has been on active duty for 14 hours, 51 minutes, 38 seconds. Click challenge for more information.